It’s chickenpox season. The schools have started back and the germs are making their way around. Luckily, my two have already had chickenpox so hopefully they won’t have it again. But I thought I’d share my tips on what worked for us. Above all though, remember that this too shall pass. Because chickenpox is rubbish, but it will soon be over. Here are a few things to help you on your way. Seeing children in distress, in pain or itching is horrible. Naturally, you’ll want to help them. But according to the NHS, you shouldn’t use ibruprofen because it can cause a serious skin infection. It’s important to check the labels on children’s medicines because they may include it as an ingredient. Asprin should also be avoided. Chickenpox is contagious until all spots have crusted over, usually around five days after you first see them. It can be particularly dangerous for newborns, pregnant women and anyone with a weak immune system. I had chickenpox as a teenager, so I have a relatively good memory of what it was like. The worst part about it is definitely the itching. I didn’t feel ill, but it was incredibly difficult to avoid scratching. In fact, I’m itching now just thinking about it. Care ViraSoothe ChickenPox Relief Cooling Gel and Spray Gel helps to cool and soothe the skin and relieve irritation. This reduces the urge to scratch, therefore helping to prevent infection. It can be used all over the face and body on children over six months old. Due to risks to people you come into contact with, it’s better to keep children at home until they are no longer contagious. 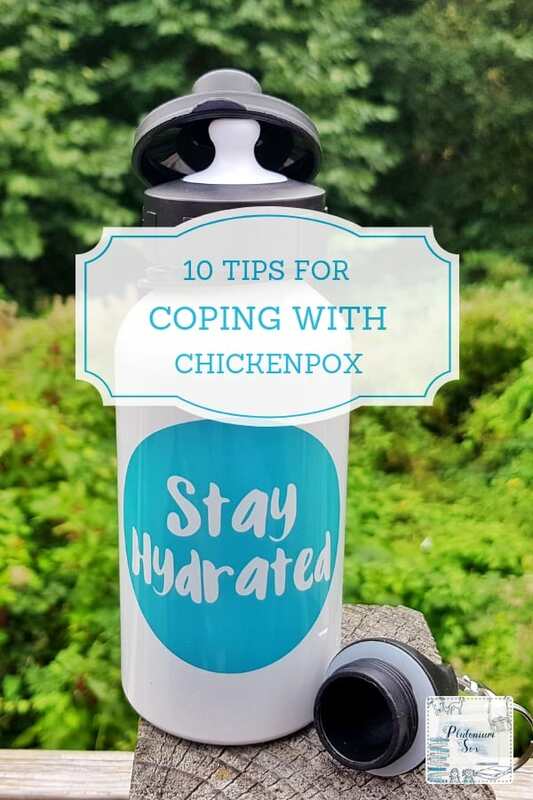 Whilst chickenpox can make children poorly, they could also have mild symptoms and end up stuck at home getting bored. It’s advisable to stock up on toys, books, colouring and some favourite films. 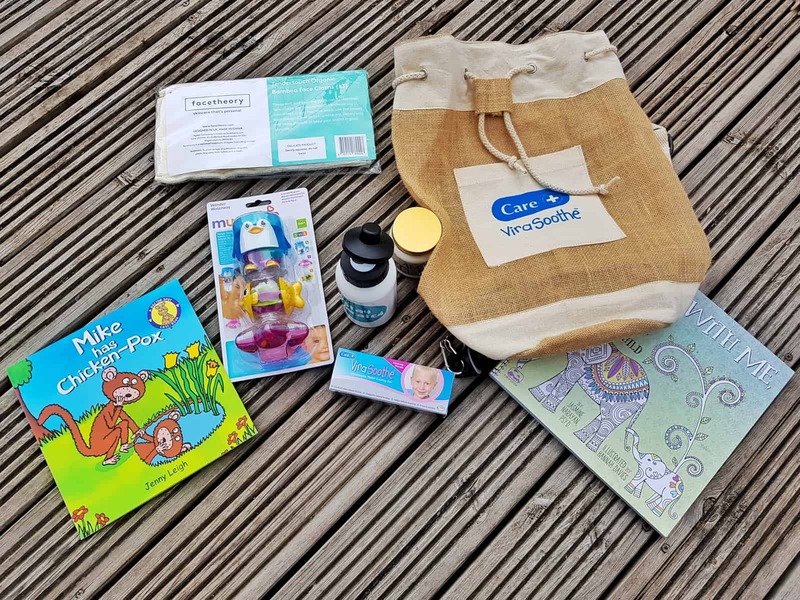 Care ViraSoothe have sent us a lovely chickenpox care package including this colouring book. 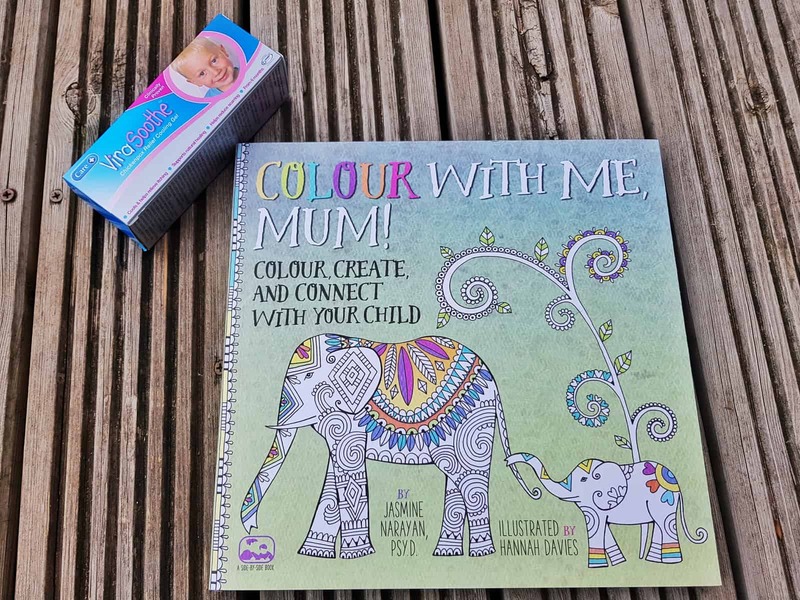 Easy colouring for little ones joins with adult colouring for parents. Perfect for quality time together whilst keeping them occupied. 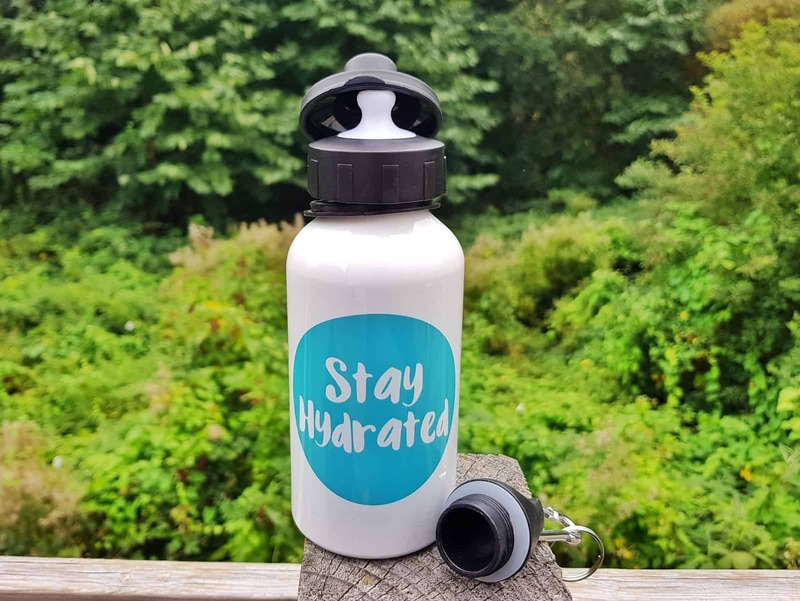 Hydration is always important, but even more so when you’re unwell. Whilst drinking water is preferable, not all children will drink it. Try giving them weak squash or watered down juice to ensure they keep up their fluid intake. If they won’t take that, the NHS suggest giving them ice lollies to avoid dehydration. Whilst ibruprofen and asprin should be avoided, paracetamol is fine. If you’re unsure whether your usual children’s medicine contains asprin or paracetamol, do check the label or speak to a pharmacist. In our family, we’ve all taken rhus tox homeopathic tablets for chickenpox rather than paracetamol. 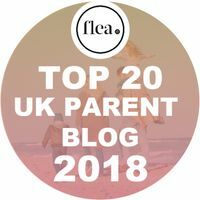 Remember that you know your child best so it’s important to stick to medication that you’re happy with. If you’re sure your child has chickenpox, you won’t need to see a GP and doing so can put others at risk. However, rashes in children can indicate something much more serious than chickenpox, so if you’re unsure or your child seems very unwell, do seek medical advice. Look out for redness or hot skin around the spots, which can indicate an infection. This will need to be treated by the GP. If children are dehydrated or getting increasingly unwell, you will need medical advice. Adults with chickenpox will need to see a GP, as will newborn babies. Anyone with a weakened immune system or who is pregnant should seek medical advice if they’ve been near someone with chickenpox. It can be very difficult for children to avoid scratching, especially little ones. To avoid breaking the skin when they do scratch, try putting socks on their hands at night and cutting their nails. Dress them in loose clothing that will cause less irritation and use cool water to bathe them, patting them dry rather than rubbing. One of the most difficult things about chickenpox is that children don’t understand what’s happening to them. It’s well worth talking things through with them or even getting a book that explains it. 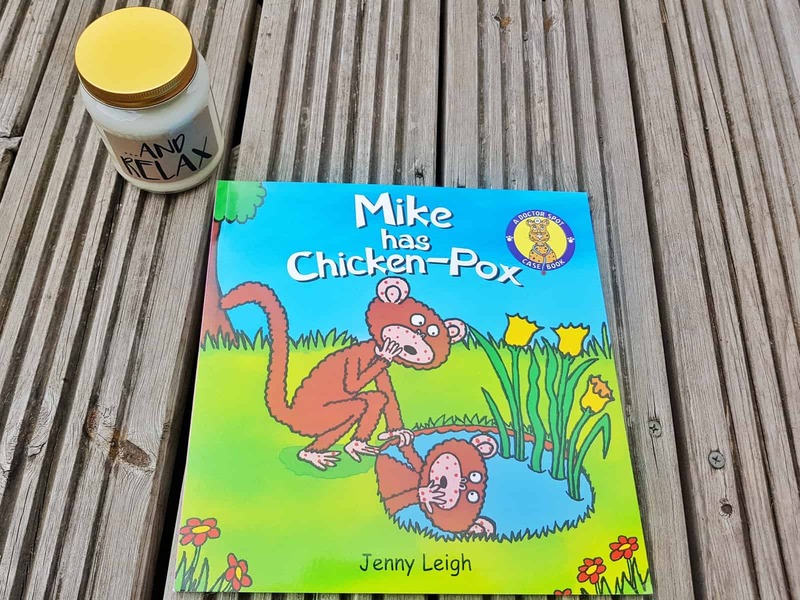 Mike has Chicken-Pox by Jenny Leigh is a simple book that little ones can understand and may be helpful for a little one who doesn’t really know what’s going on. 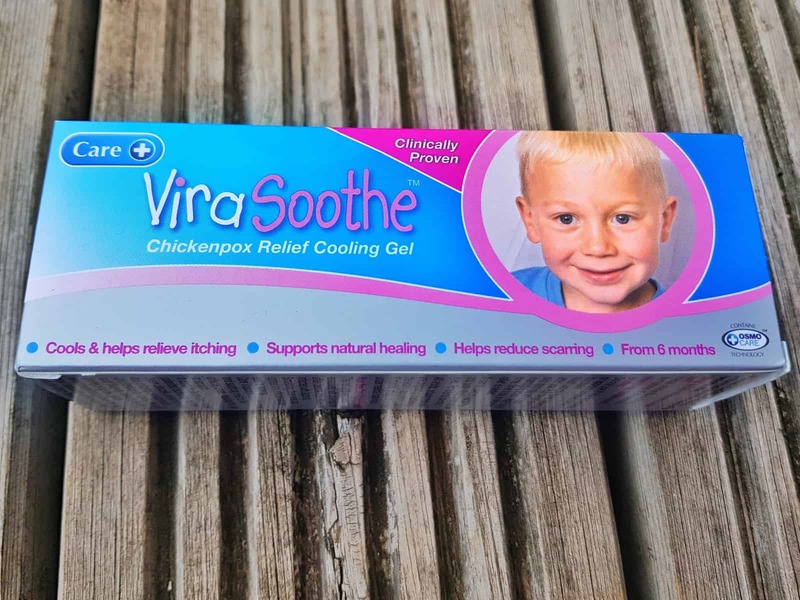 As well as making products that soothe chickenpox symptoms, Care ViraSoothe offer some great advice and information on their website. They’re happy to send you care leaflets to help you manage the symptoms. Care ViraSoothe Chickenpox Relief Gel is available in supermarkets and pharmacies nationwide. It costs £5.73 for 50g and £8.43 for 75g. A 75g Spray Gel is also available for £8.43. 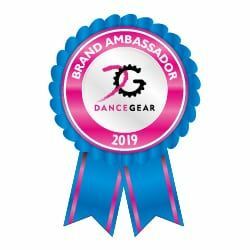 You can also buy it online from Boots, Sainsbury’s, Lloyds Pharmacy and Amazon. 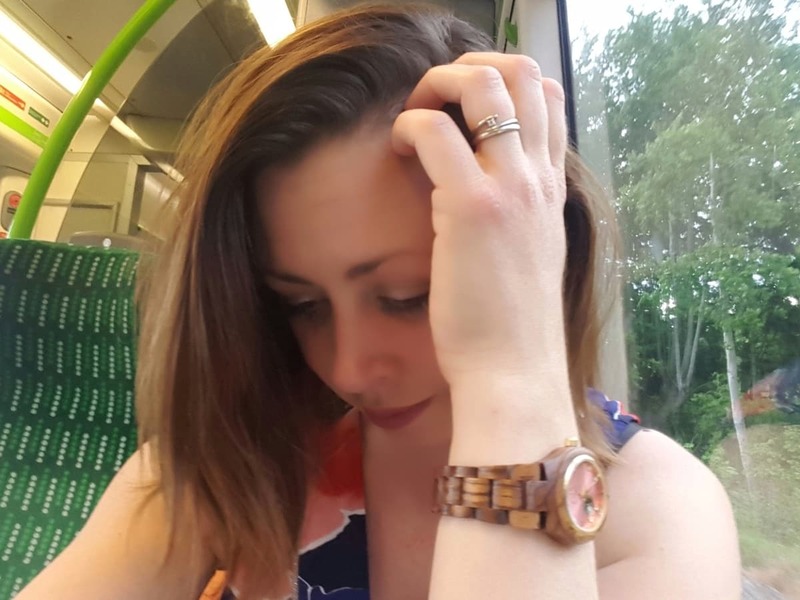 Please note, I was compensated for my time in writing this post and used information from both the Care ViraSoothe and NHS websites. All views and opinions are my own. Next Post Can you make money blogging without spending a fortune? I never knew that ibuprofen could cause skin infections! The colouring book’s a great idea. My daughter’s always asking me to colour in with her. Yes, I really like it. Great to have adult colouring combined with children’s colouring, really relaxing activity to do together.